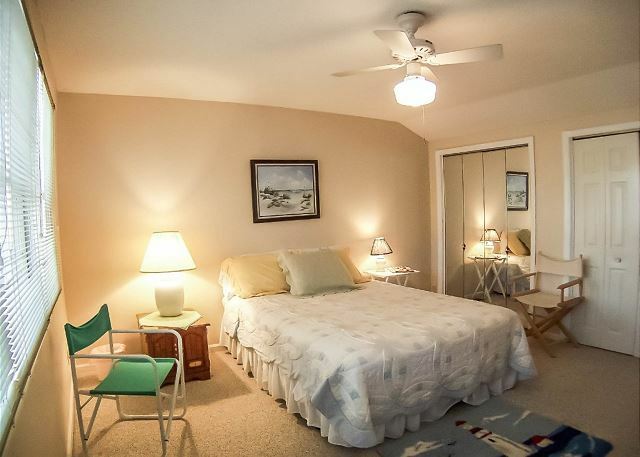 Real Escapes Properties is proud to offer this cute and comfortable town home just a short walk to the beach! 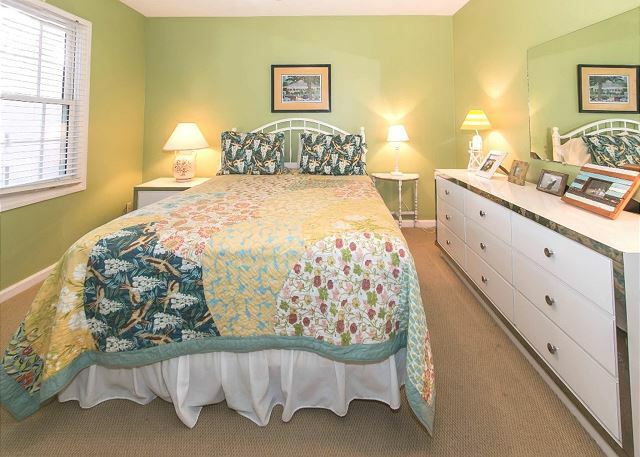 The unit is on three levels and includes three bedrooms and three and half bathrooms. he main level of the town home includes the kitchen, living/dining room area as well as a half bath. The second level has two bedrooms with both of them having their own connecting bathroom. The laundry room is also located on the second floor. The third level holds the Master Bedroom and connecting bathroom. There are two TV's and a DVD player. As well as Comcast Phone and Internet. The back deck includes metal chairs and a charcoal grill. You also have the option to sit outback on the deck. There is also a shower to wash off the sand between your toes. The home has Comcast Wireless Internet Access and Phone. There are two parking spots assigned to the unit and they are conveniently located right in front of your doorway! A community pool is also in the complex for your enjoyment. We love this place and are finishing our 4th year here. Can’t wait to return winter 2020. Our Real Escape agent, Brook takes very good care of us. This is our 4th year in this place and we love it. Close to beach and nice walk to town.. I have been using and recommeding RealEscapes for approximately six years and have stayed at approximately four of their properties. I have had great experiences until renting the property at San Simeon 1495. Upon my arrival I found the property to be dirty and in need of a good cleaning(dusty ceiling fans, dust from the vents,dirty windows in front and back of the house, grease stains in kitchen, kitchen floor was dirty as well as on top of the refrigerator and front of microwave)In addition, the kitchen utensils and appliances need to be upgraded. The area rug smelled and I requested it be removed. The third floor ceiling fan does not work. The unit itself is in need of renovations. From what I understand the living area floor has been replaced most recently but the kitchen needs to be renovated and the upstairs carpet needs to be replaced. The back patio leaves nothing for renter to enjoy. The unit has great potential but needs some real TLC to bring it up to RealEscapes standards. I recommend that RealEscapes removes the property from their inventory until the owner has the unit fully renovated and suitable for customers. The positive feedback I have includes RealEscapes being quick to get a cleaning team into the property and address my complaints. The property offers a great location close to the beach and there is a shared swimming pool at San Simeon. I enjoyed the close proximity to the beach and the quick drive to the pier for dining. Although I had a subpar experiences at San Simeon 1495 because the company did try to address everything quickly I will continue to use RealEscapes in the future. We spent a month on beautiful SSI. The location was perfect, a quick 2 minute walk to the best part of the beach without crossing a major street. The unit was serviceable but needed a deep, thorough cleaning. The real estate management company did arrange for professional carpet cleaning early in our stay and housekeeping came to do some extra cleaning of the floors which was helpful. The Windows and the blinds were all dirty. This nice condo just needs some attention to detail! 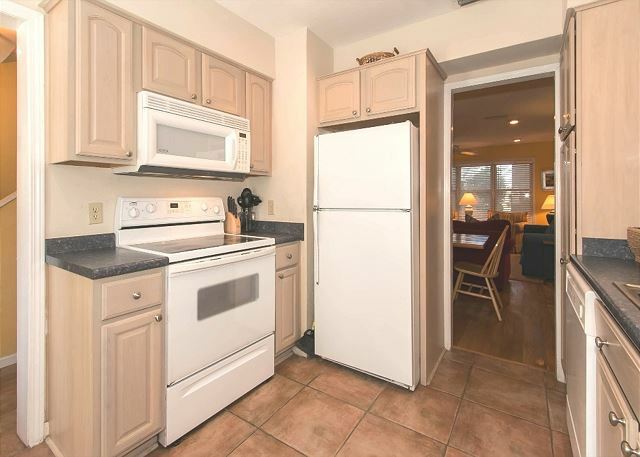 There is plenty of room in the kitchen though for storing your own groceries which was helpful. we love this place, a true home away from home and close to beach. Can't wait to return in 2018. This house was situated in a great location walking distance to beach and short distance to shopping. It was very spacious and dog friendly. The pool was well maintained and the grounds were gorgeous. I highly recommend staying here. Real Escapes was excellent to work with and very flexible when we had to change our dates several times due to Hurricane Matthew. Kitchen was pretty well appointed and furnishings were beautiful on the bottom floor. The artwork was very pretty. The bed mattresses need to be replaced. They were so soft that my husband and I had backaches the entire trip. The walls and certain areas needed more cleaning. very nice relaxing home.....can't wait to return in 2017.
good near by beach but have one problem. I did not know there were no bed rooms one the first floor. We made was my fault for not asking. If you're looking for a condo near the beach, then this is it. You'll be ready to start soaking up the sun in 5 minutes. Great pool 75 steps away from the back door. Plenty of pots, pans and glasses but could use a few more coffee cups, and serving dishes. 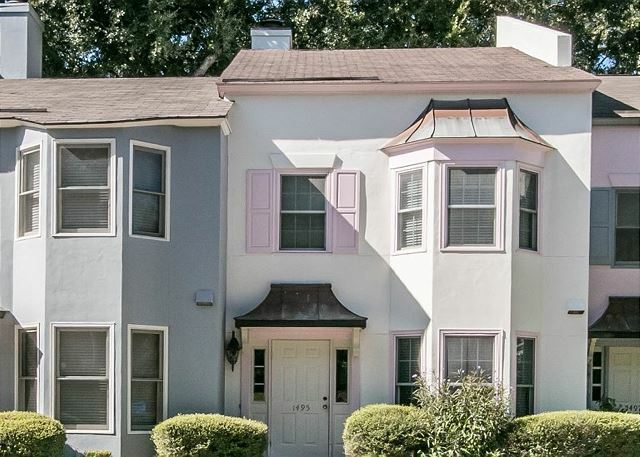 Condo needs a little bit of updating but nothing that should be a deal breaker. There is a storage closet outside with beach chairs, glad we brought our own as the items in the closet were quite smelly. This condo was perfect for our needs. Although it was a little rundown and shabby in spots, the location and value more than made up for any deficiencies. It was very comfortable, easily accommodated the six teens/adults in our party and was convenient to the beach, restaurants, and grocery store. The pool was very nice, as well. Great location but in desperate need of updating/repair. This location is a 3 minute walk to the ocean. The pool is partially shades which for our group was a plus. The interior of this unit probably at one time was pretty great but repairs and updating need to happen. The floor between the kitchen and dining area is soft and peeling up. The mattress on the pull out couch looks like a civil war bandage (gross!). The carpeting is in need of professional cleaning! Paint and some updating is necessary before we stay here again. It's a shame because we've stayed here twice and the location, price, and pool all worked out perfectly for our group. But it's clear that very little is being put back into this condo. Hope that changes or we will have to look elsewhere when we visit the island again. 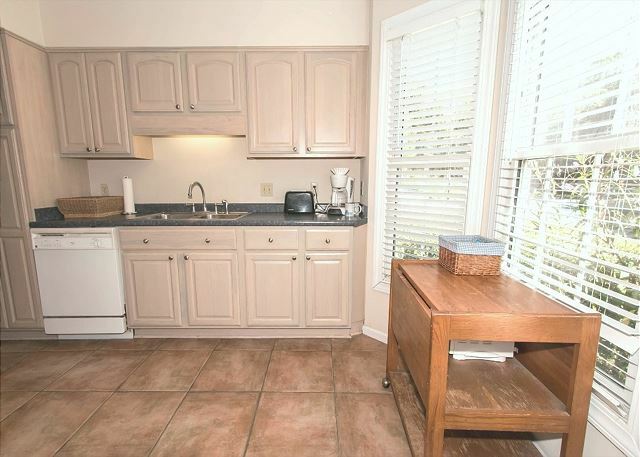 San Simeon 1495 has the potential to be a fine rental because of its location very close to East Beach. However, it is in great need of updating and intense cleaning. There is water damage on the main floor in the windows and flooring which is warped and blackened. There is probably a mold problem because of this. There is a big dust problem in this unit. We did intense cleaning upon arrival. Filters were thick with felt-like pad of dust and behind the filters in the chambers of the furnace was a huge amount of dust. There needs to be duct-work cleaning done. Our family had health problems with a lot of coughing while in this rental which we suspect was because of mold. This was not at all up to the standards that we have experienced before with rentals from Real Escapes. They were going to have someone come in to check for mold, but no one ever showed up to check that out. Comforters in closets had blotches of blood on them and I had to wash those before use by family. Two of four fire alarms did not work which Real Escapes replaced. One burner on stove doesn't work. Toaster had to be replaced because it didn't turn off. We spent the month of March in this unit - owner needs to invest in work on property maintenance. St. Simons Island is a beautiful place, lovely beaches, weather was wonderful. The home was spacious and have basic supplies. It was a bit dusty and i has to buy light bulbs which i left at the house along with dishwashin liquid. The linings in the couchbed were dirty and bloody but i washed them and changed them. In general the house was pleasant and comfotable. It just needed a little TLC and cleaning. Thank you. This was an amazing town home with 3 floors. I stayed in the master on the 3rd floor and felt like I was secluded in my own little hide-away! The kids loved having their own spaces with their own bathrooms! The courtyard was stunning with the most amazing trees. The pool was perfect. This part of the island is so peaceful. Our Vacation Experience-will come back!! This vacation rental was such a relaxing and quiet place. It was close to shops, restaurant, and parks for everyone to enjoy. It was just the right size for the family to just enjoy each other. The only thing that I would say about the property is there needs to be more tv's in it. We had two small children that wanted to watch something different and they couldn't because it didn't have enough tv's for them. It was a great location! Very relaxing stay. Condo was decorated very nicely with casual and comfortable furnishing!! comfortable accommodations made for a great stay. We found the unit very comfortable and roomy. We likes that we were just less than a block to the beach with town easily accessible. The unit bus in a nice quiet area. We would stay here again. Great Location. Large enough for family to visit. Very close to the beach. Pool is under the trees and needs daily cleaning. Property needs a good"spring cleaning"
Had a great vacation and enjoyed this home. Felt spacious with 3 levels. Room enough for everyone to spread out. Plenty of seating too. Great location! The short walk to the beach, made it convenient for daily beach walks. And short drive to restaurants and shopping. Friendly neighbors. LOVE that its pet friendly. They were comfortable too! Made our vacation easier. Would stay again. Property exceeded expectations; we felt like family with the games, pictures of children and the generosity of supplies. Even the kitchen was well supplied with many 'extras'. Our week was completely enjoyable and we look forward to going back. We were not made aware upon check-in that the pool was under repair, but liked the property and location very much. Excellent professional staff! Next year will be our 4th year there. The only bad thing is it's getting dated. We love the location but some updating needs to be done. This townhouse is comfortable, but somewhat worn. The location is fantastic: one block to the beach and half a block to the marsh and bike trail. We plan to stay here again.